It’s never easy to turn down a job offer, especially when you feel like you need a job. You need to remember that interviewing is a two-way street and you have just as much right to turn down the employer as they do to select another candidate. You deserve to get the “right” job for you. 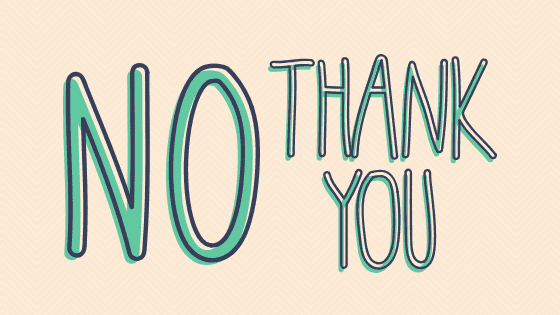 So, here are some tips to turn down a job offer gracefully. Call the employer. Most likely the organization invested time and perhaps resources in interviewing you. Speaking with them over the phone shows professionalism and class. You can always follow up the call with a letter. Be genuine about your reason for declining the offer. Let the employer know what you liked about the company and the role. Give a brief, but honest reason you’re turning them down – you’ve decided to accept another position, decided now is not the best time to leave your current or it’s just not a fit for your career goals at this time. Offer recommendations. If the job wasn’t for you, perhaps you know someone that would be a good fit. That’s a win for your network and for the employer who doesn’t have to start over from scratch. Keep in touch. You never know when another opportunity that is a better match will come about. Or, the hiring manager may move on to another company that interests you in the future. I’m actually having lunch next month with a hiring manager I turned down 9 years ago. Thank you so much for taking the time to meet with me over the last few weeks. I appreciate your generous offer to join your team. After much thought and consideration, I will, unfortunately, have to decline. While this position seems like a great opportunity, I have decided now is not the best time to leave my current position. I wish you continued success as you grow your business. I’m happy to discuss any of this via phone if you have questions. If you want help in pursuing the “right” job for you, then I encourage you to book a call with me.